If you are considering building a room addition, the best way to minimize the cost of doing so is to build within your home’s existing footprint. For example, building another bedroom in your home by utilizing some of your home’s unfinished space, or by repurposing an underutilized existing finished space, you can save tens of thousands of dollars, compared to adding on a room addition to the exterior of your home. Building a room addition that attaches to the exterior of your home requires much more money, time and effort compared to finishing an attic or basement to gain more finished living space. By finishing a basement or attic to gain additional finished living space, a homeowner can typically save 25% to 50% on building a room addition, compared to building an attached room addition. An attached room addition can cost anywhere from $150 to $600 per square foot depending upon the type of features in the room addition and the real estate market conditions relative to where the home is located. With an attached room addition, excavation and foundation work is required. In addition, some demolition of the existing home is required. Also, an architect is most likely required, and is highly advisable; to ensure the attached room addition ties in aesthetically and functionally into the existing home. For resale value it is crucial the attached room addition looks like it belongs on the home, rather than looks like it is an aberration to the home. 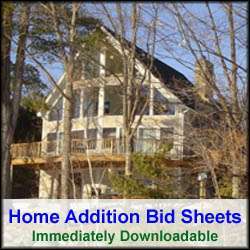 Hiring an architect, however, can significantly increase the cost of the room addition project. Building an attached room addition also requires exterior construction that is not required when finishing an attic or basement. For example, building an attached room addition requires exterior framing and house siding, insulation, the installation of windows and doors, and a new roof. Moreover, landscaping work is required once the attached room addition has been completed. Building an attached room addition also presents other potential issues that you will need to investigate prior to breaking ground. For example, does your building lot support enough space to allow an attached room addition to be constructed? Also, are there any covenants in your housing development that may preclude your ability to build an attached room addition? It is highly advisable to check with your local building inspector to determine if an attached room addition is even feasible. 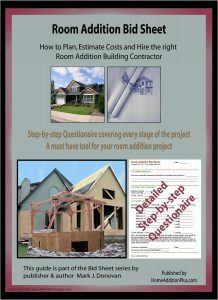 So if you are contemplating building a room addition and want to minimize the costs of doing so, think long and hard about building within your home’s existing footprint. 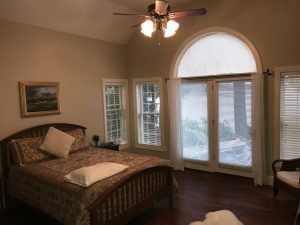 Not only will you save money in the room addition construction costs, but also in annual property tax bills, compared to building an attached room addition.